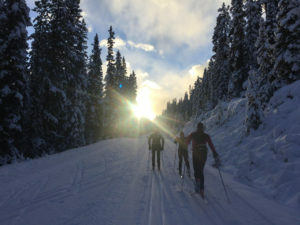 Dahria Beatty and Knute Johnsgaard are barely old enough to remember the 1994 Lillehammer Olympics, but they got to experience the Norwegian city’s lung-busting ski trails Dec. 2-4 during a World Cup mini-tour of the historic small city. The northerners gained valuable experience against an extremely deep field, facing the impossibly strong Norwegian team, who were playing for keeps in their own backyard. Superstars Martin Johnsrud Sundby and Heidi Weng dominated the field, Beatty and Johnsgaard once again got a glimpse of the rocket power required to become the best on the planet. 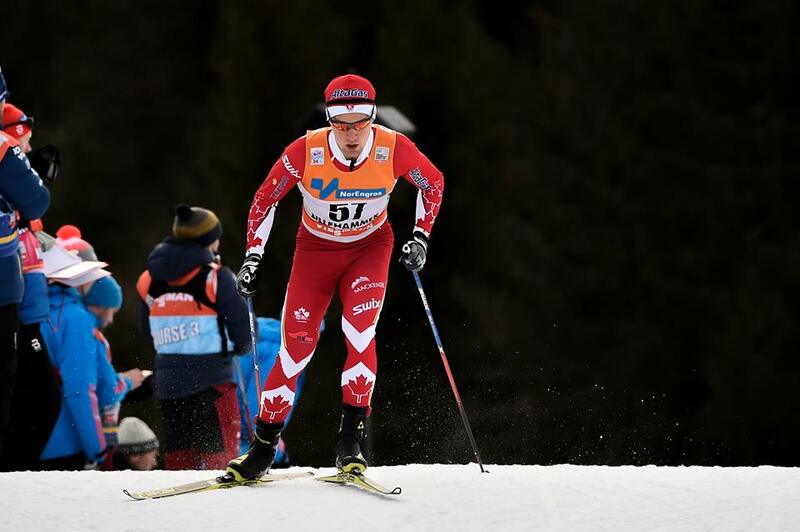 Beatty managed a 66th place finish in the classic sprint (Dec 3), and took 62nd spot in the 5 km Freestyle race (Dec. 4). Her time of 14:14.7 in the 5 km race was a mere 34 seconds out of the top 30, demonstrating the thin margin of error between the World’s top skiers. Beatty was actually sitting in the top-20 at the halfway mark, but faded on her second lap. “I was really happy with the first 2.5 km. The giant climb was just too long!” Beatty laughed. “I just need to keep building the race endurance so I don’t die so hard, but it was definitely a positive day even if the result wasn’t great,” Beatty said. Jessie Diggins of the United States won the race (12:40.3), followed by Norwegians Weng and Marit Bjoergen. 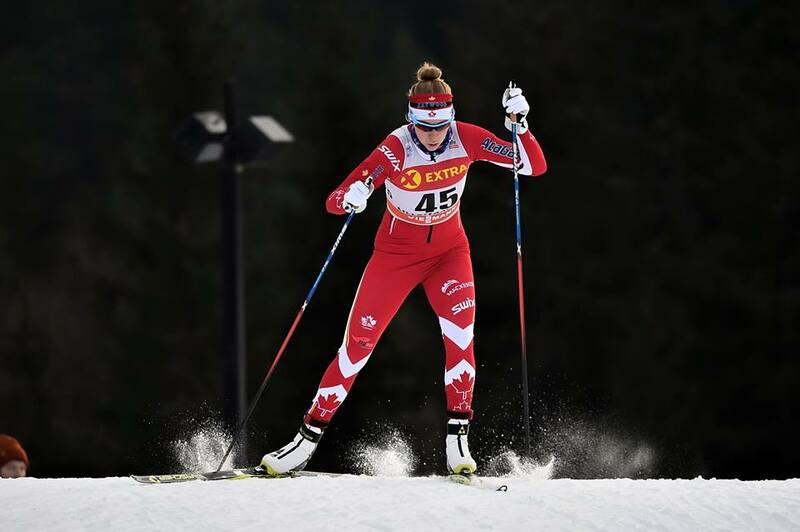 In the sprint, Beatty finished less than a second behind Canadian teammate and AWCA alumnus Emily Nishikawa, and 11 seconds outside of the heats. Weng took the win ahead of her countrywoman Maiken Caspersen Falla. Sweden’s Hanna Falk finished third. Johnsgaard, whose Norweigian name gets plenty of attention overseas, had one of the best world cup results of his career, finishing 51st in the sprint. He was four seconds off of qualifying for the sprints, and barely two seconds behind Canadian teammate Devon Kershaw. The skier, whose training included incredible treks chasing moose through the Yukon wildlands, impressed his coaches with some great speed on the day. Calle Halfvarsson of Sweden took the win. In the 10 km skate, Johnsgaard finished 73rd with a time of 25:26.9, 2:22 back of winner Halfvarsson of Sweden. “I died on the last hill. That puppy is long!” Johnsgaard said. AWCA head coach Chris Jeffries said he saw a lot of great things from Beatty and Johnsgaard, and notes the best is yet to come as the World Cup races enter mountainous terrain. “For the second week in a row, Knute and Dahria did some really good things in their racing, but have yet to connect it all together for that perfect race. At this level and this time of year, you really need the perfect race to be competitive on the World Cup. I’m quite confident that next weekend when the tour gets to the mountains that both will see a jump in performance. Both have struggled a bit finding their rhythm in diagonal stride, and they are looking forward to two skate races,” Jeffries said. The race to become Canada’s top domestic skier begins this weekend in Vernon, B.C. with the Haywood NorAm Buff Sprints and USSA Super Tour Points race at the Sovereign Lake Nordic Centre. The series attracts the top athletes from the United States and Canada, who can earn a trip to the World Cup by garnering enough points domestically. AWCA athletes such as Olivia Bouffard-Nesbitt, Annika Hicks, and Maya MacIsaac-Jones are expected to be in the medal hunt, while the junior athletes work towards their big races in February at World Junior Championship trials. Follow the results at www.zone4.com. AWCA’s Jack Carlyle is taking a slightly different route this year, competing in Scandinavian Cup races in Norway, not far from the recent World Cup venues. The 23-year-old Sault Ste. Marie native is in his third season with the Academy. He got his first taste of international racing last year at the U23 World Championships in Romania, and the experience whetted his appetite for a veritable buffet this year. After kicking off the weekend at last week’s Alberta Cups, the Academy athletes had the weekend off racing. After a couple easier days, it was back to work with some hard max aerobic speed work on the rollerski treadmill. The team was out this weekend in the Winter Wonderland of Lake Louise for some volume training, after which they will turn their focus to the start of the 2016-17 Nor Am calendar.